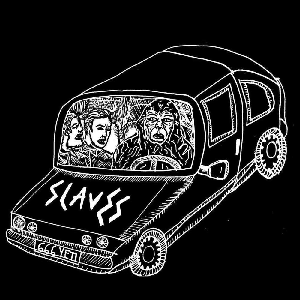 So if you've been following my radio shows or my website recently, you might have noticed that a certain band called Slaves is my current favourite band. And it's not even close. So it's a guarantee that Slaves will appear three times in this list, the maximum an artist will appear in the 100 listings. So here's the first of those tracks. "Where's Your Car Debbie" is Slaves in a nutshell - punky, garage rocky, and very very silly. When Isaac Holman, the lead singer, was asked about the meaning behind this song, he literally said "As we are walking to the car I said where’s your car Debbie?" - and they thought that would be a good lyric. They were actually looking for a car that belonged to Debbie by the way. Fascinating story right?? I know it's silly but in the end, Slaves are a silly band. But they make excellent music, very catchy garage punk and they're just, in my opinion, the most exciting band out there at the moment. If you haven't listened to Slaves yet please give them a listen, they deserve your attention. If you missed #65 go here.